HyperJuice external battery is compatible with all models of Apple MacBook / MacBook Pro / MacBook Air and all the smartphones and Tablets with USB charging cable. *Based on using MacBook/MacBook Pro 13" with 63.5-watt-hour (10 hours) rated internal battery, rounded to the nearest hour. Requires MagSafe Airline Adapter (sold separately by Apple). HyperJuice External Battery 150Wh is the only External Battery for Apple MacBook / MacBook Pro / MacBook Air. HyperMac Professional High Capacity External Battery is also for Apple iPad, iPhone, iPod and any USB devices. HyperJuice External Battery 222Wh is the only External Battery for Apple MacBook / MacBook Pro / MacBook Air. 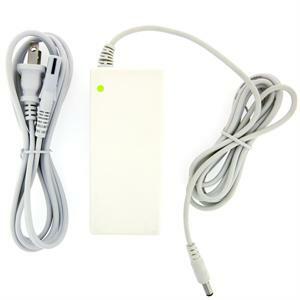 Professional High Capacity HyperMac External Battery is also for Apple iPad iPhone iPod and any USB devices. HyperJuice 60Wh external battery power for Apple MacBook* all series, iPad 2, iPhone all series or any smartphone or device that uses USB cable for charging. Apple MagSafe Airline Adapter is NOT included (sold separately by Apple) for MackBook.use. HyperJuice external battery for MacBook, iPad, iPhone and USB. Powers a MacBook and 2 iPads (or any 2 USB devices) at the same time! 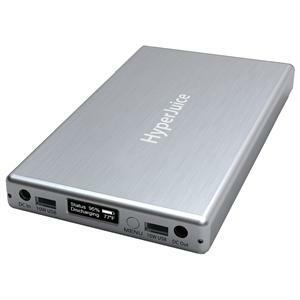 New HyperJuice 2 External Battery MBP2-100. MackBook extended life battery from HyperJuice.